White alder looks almost the same as its cousin, red alder, which I wrote about in my last post. This tree grows a bit taller, but the main way to tell them apart is by looking at the underside of the leaf. 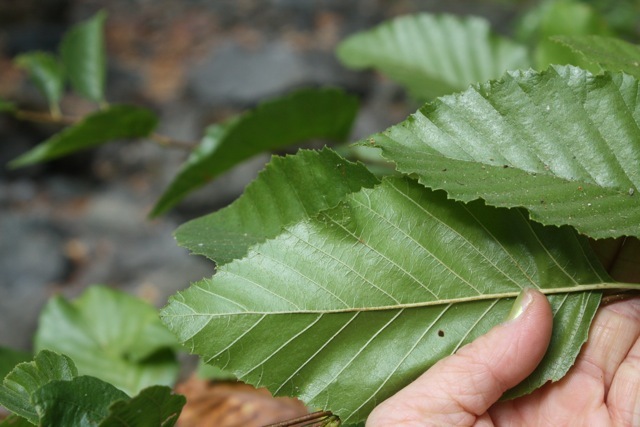 In white alder (Alnus rhombifolia) the leaf margin is flat instead of tightly rolled underneath. It also produces its catkins slightly earlier, in January instead of from February through March. 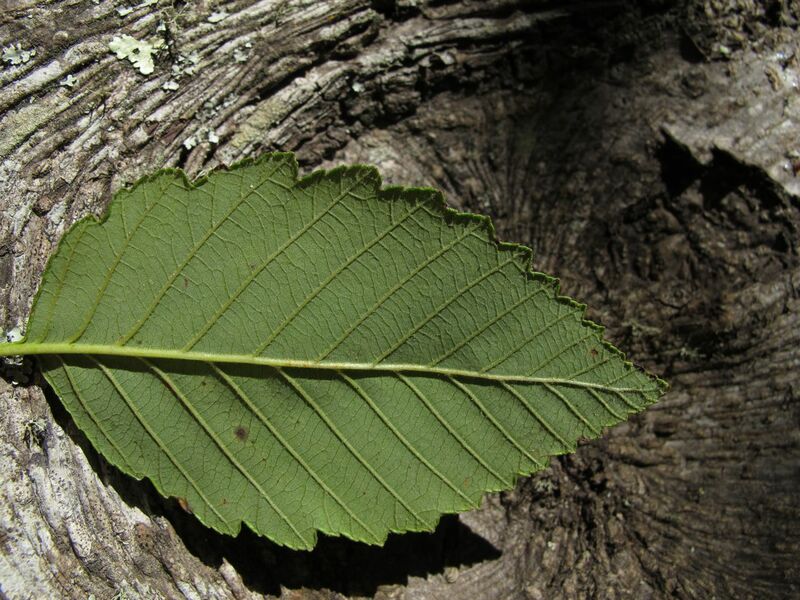 Both species are common in Marin, but you’re less likely to see white alder growing right along the coast.